The 25-passenger minibus is perfect for groups who are too large to split up into cars but still too small for a full-sized charter bus. This minibus is perfect for an all-day shuttle service or a quick day trip to a neighboring town. Its compact size and comfortable amenities make it easy to keep your group comfortable as you travel together. 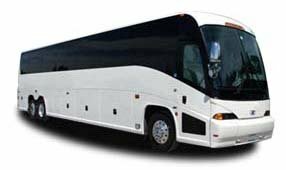 Rely on San Francisco Charter Bus Company to provide seamless transportation to your next business trip, sporting event, school outing, wedding, or other private journey. We’re available 24/7 to help plan every detail of your trip! Call us at 415-404-6456 to get started.